Israel has identified one more Hezbollah tunnel in the region close to the border with Lebanon, the Israeli Defence Forces (IDF) press service reported on Tuesday. Operation #NorthernShield UPDATE: IDF soldiers have placed explosives in the Hezbollah attack tunnel exposed today from Lebanon into Israel. Hezbollah terrorists: enter at your own risk. 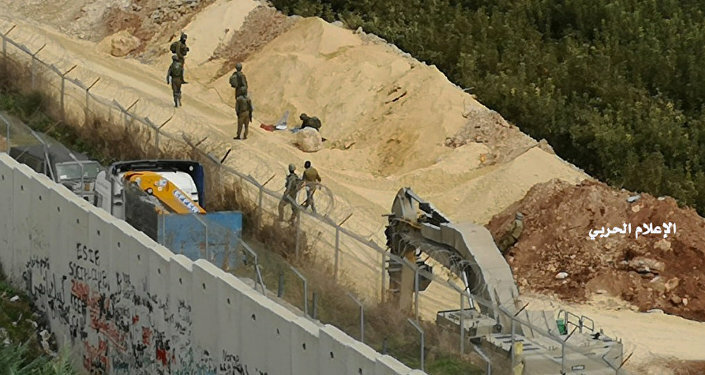 According to the IDF, this is the third tunnel exposed by the Israeli forces that was made by militants from the Hezbollah group. The discovery of the third tunnel dug from Lebanon into Israel comes amid operation Northern Shield, an Israeli campaign to find and destroy tunnels allegedly dug by Hezbollah militants to enable them to illegally transfer fighters and arms into Israel.